If you look at these two pictures, and you’re observant, you will see a common thread. Look at where the babies are. What you should be noticing by now, is that the youngsters are all grouped together. And, they’re grouped pretty much in the middle of the herd. 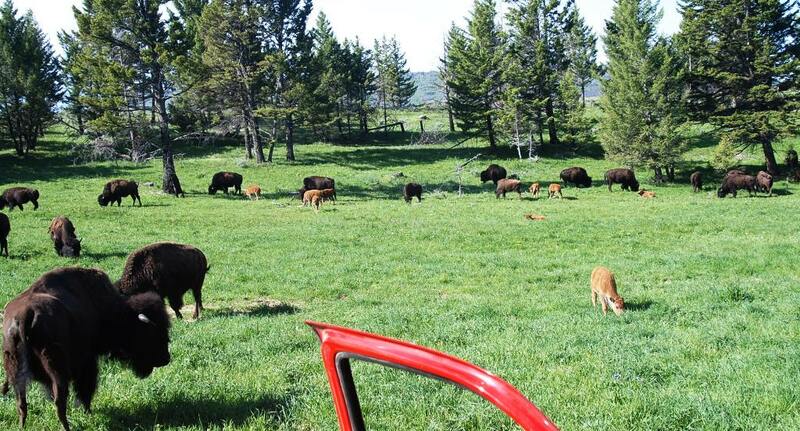 Bison, like many herd ungulates, keep their young in the middle of the herd so that predators have to go through all of the adults to get at the calves. 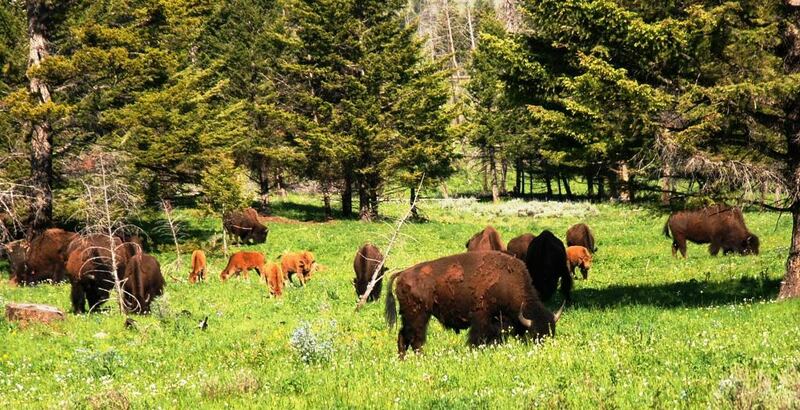 Now if you were a bison calf, wouldn’t you feel safe with all of those buffalo tons of horns and hooves surrounding and protecting you!